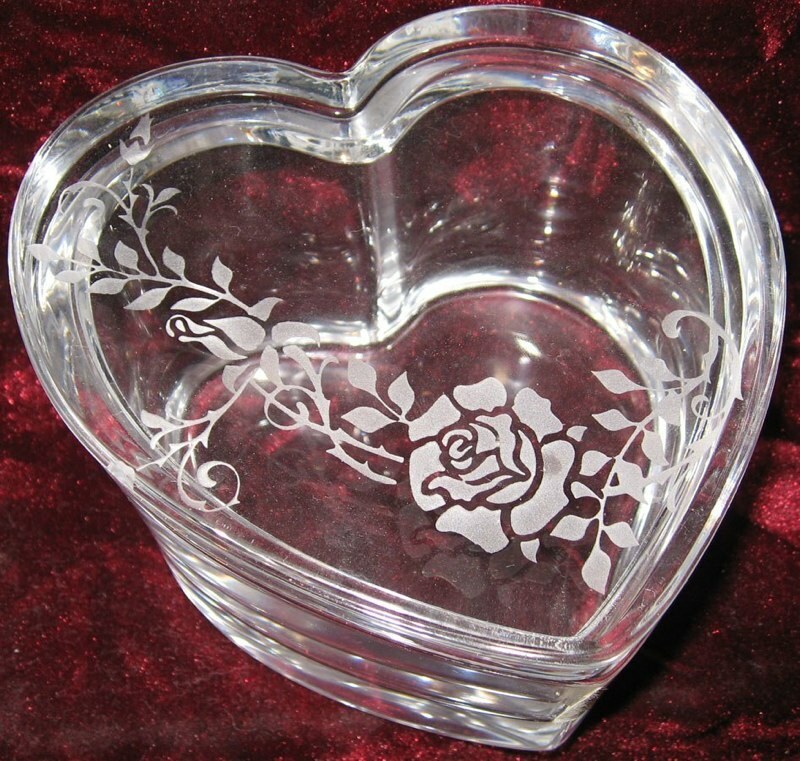 Personalized Engraved Cristal D'Arques 24% Lead Crystal Forever Crystal Heart Shaped Trinket Box $49.95 engraved with a 6 letter name. 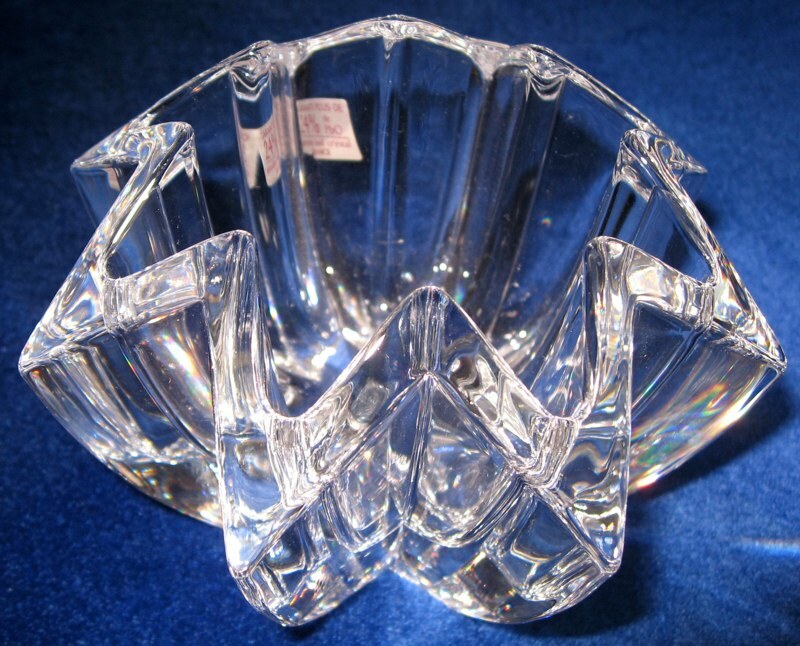 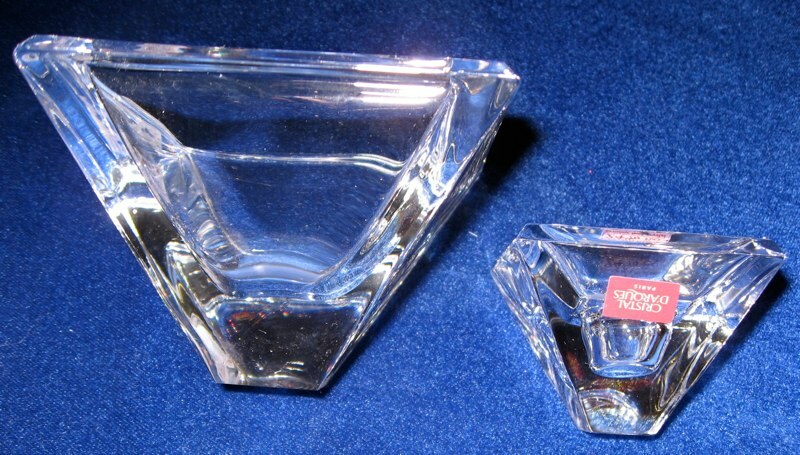 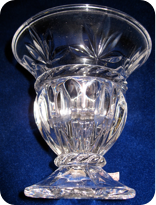 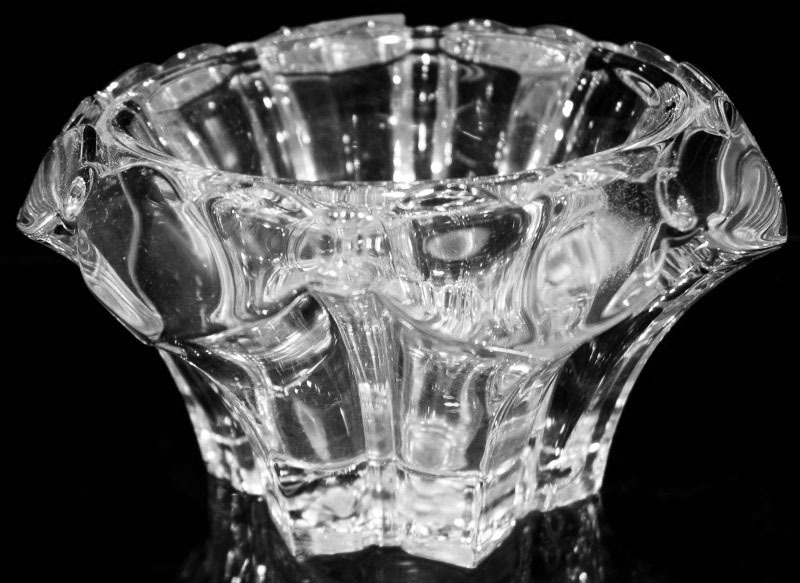 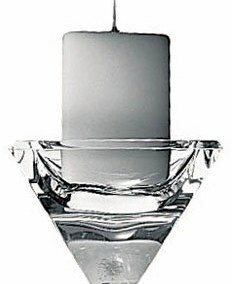 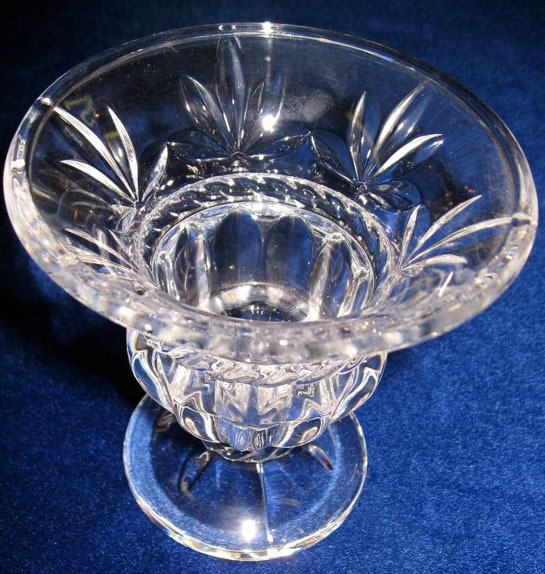 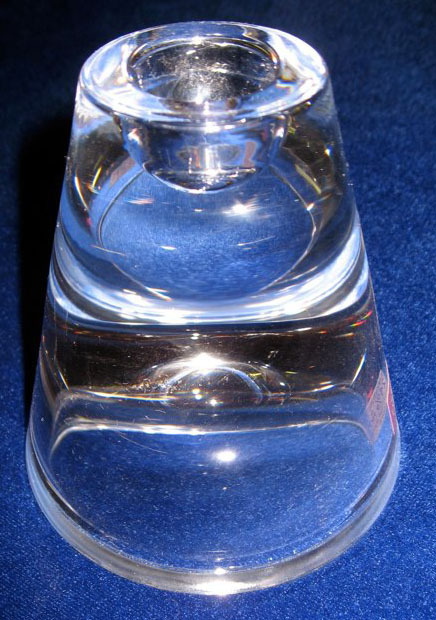 #9 - Cristal D'Arques 24% Lead Crystal Candleholder You can not tell from this photo but there are hearts all the way around the rim. 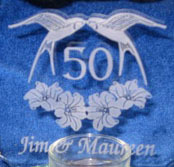 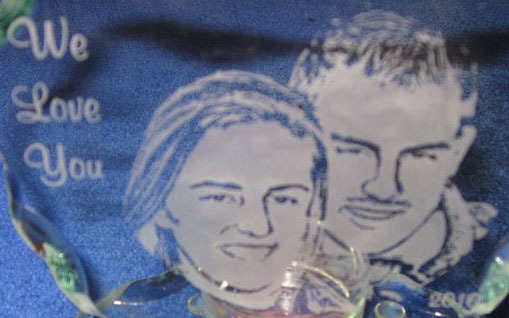 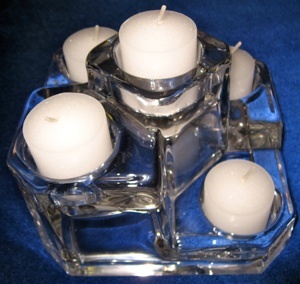 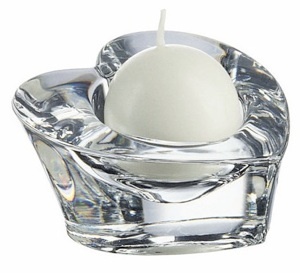 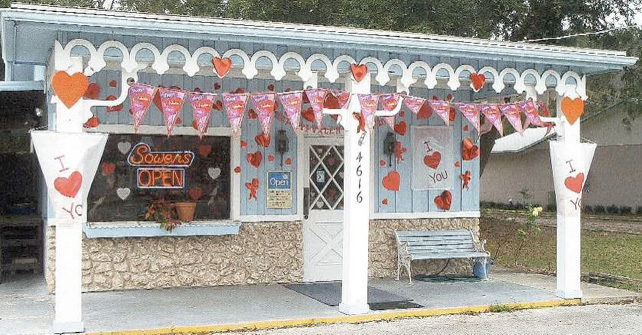 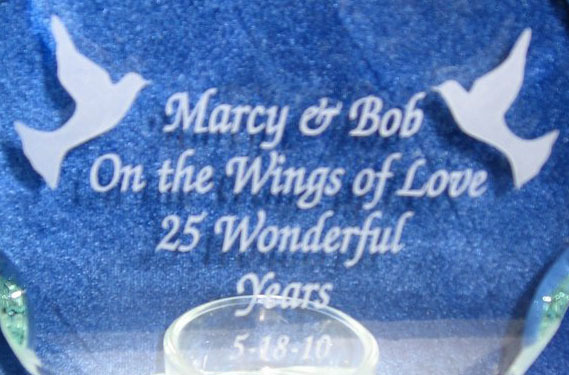 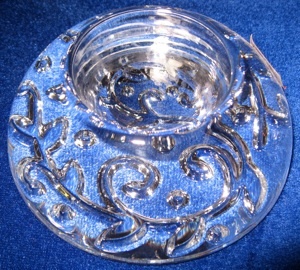 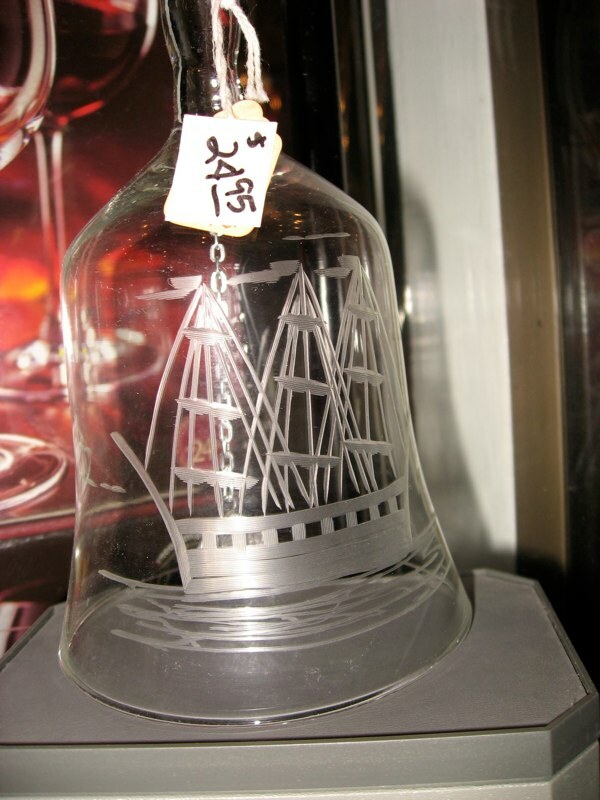 Our heart shaped votives are $45 engraving is .50 per letter, designs are $8, photos are $45. 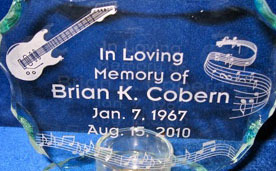 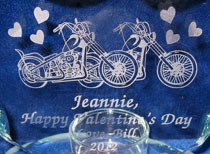 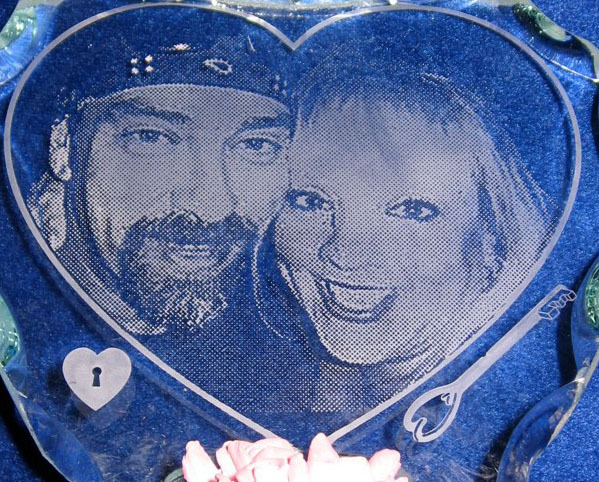 Personalized Engraved Heart Shaped Votive - On the left are 2 sided by side motorcycles, and on the right a custom photo engrave for their Mom.